After 18 years out there, Riyadh is the place I (sometimes) call home. I've never written a post about Saudi Arabia on here because I do like to focus on Lebanon... a country whose art I find to be much more liberating. But - I'm really excited to write the first Saudi-feature about the fantastic designs of a dear friend from school. 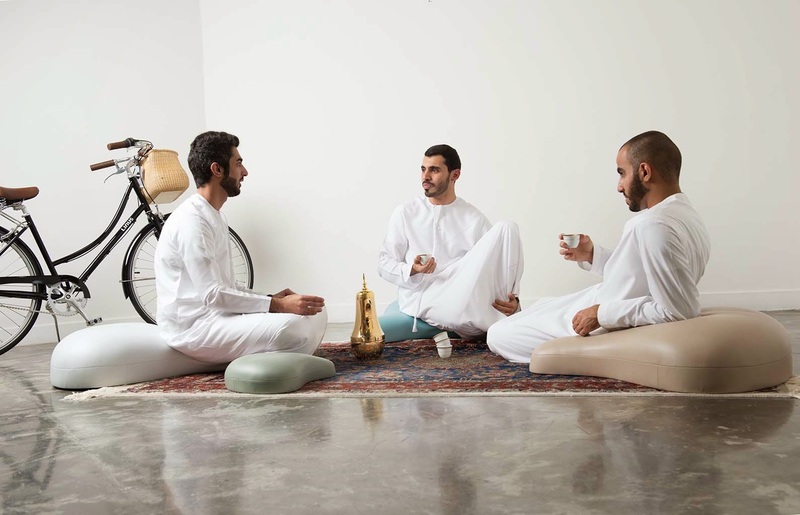 Ayah is a Middle East-based product and furniture designer, a breed of Saudi Arabian and Palestinian roots. Under her eponymous design house Ayah Al Bitar Design, she launched the 'Wisada' Collection at Saudi Design Week 2015 bringing her trademark flair into the design festival. 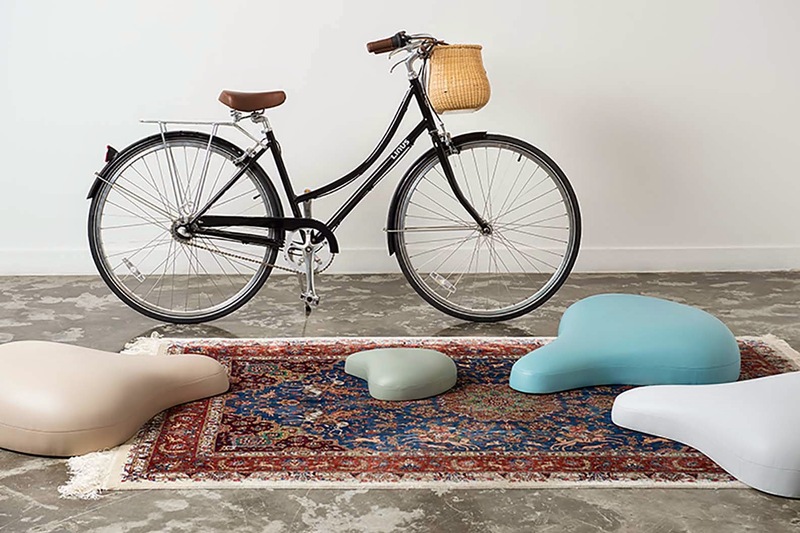 Wisada is a bicycle-seat shaped floor cushion inspired by Eastern and Western transportation cultures, particularly the fact that Saudi Arabia has only now began to allow women to ride bicycles (I can attest to that). The floor cushion encourages socializing in a traditional yet contemporary environment for both men and women and also kids. The collection is inspired by the topics covered in the first feature length film made by a female Saudi director, Wadjda.